President of Ireland Michael D Higgins. President of Ireland, Michael D Higgins, will receive an Honorary Doctorate of Laws from the University of Melbourne during his official visit to Australia in October 2017 in recognition of his significant role in advancing the arts, humanities and education in Ireland and beyond. The degree will be conferred next month by the University of Melbourne Chancellor Allan Myers who said that the honorary doctorate recognised President Higgins’ many personal achievements and his contribution to public life. “President Higgins is a politician, poet, writer, academic, statesman, human rights advocate and champion of the creative industries,” Mr Myers said. 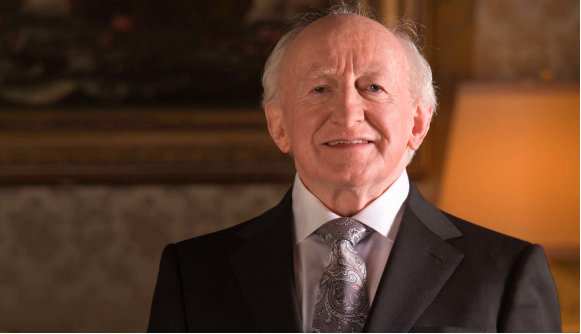 The ninth President of Ireland, President Higgins has been in office since 2011. He was Minister for Arts, Culture and the Gaeltacht from 1993 to 1997 and President of the Labour Party from 2003 until his election as President. Prior to his political career, President Higgins was a Lecturer at University College Galway and Visiting Professor at Southern Illinois University. University of Melbourne Vice-Chancellor Glyn Davis took the opportunity to announce the appointment of Professor Ronan McDonald as the next Gerry Higgins Chair of Irish Studies. “Professor McDonald will join the University in February 2018. His presence in the School of Culture and Communication will strengthen our already significant scholarly efforts in the field of Irish Studies,” Professor Davis said. The public can register to attend President Higgins’ honorary doctorate conferral ceremony and keynote on 12 October 2017.